Discover the best of Patagonia. “Rock, ice, snow, wind, and water, all warring with each other yet combined against man, here reigned in absolute sovereignty.” That’s what Charles Darwin said about Patagonia when he set foot in Tierra del Fuego over 150 years ago. It’s an apt way to describe the Southern Cone, the last rugged patch of earth before Antarctica and the end of the world. Patagonia is much larger than many travelers realize, and to experience it fully requires time, creativity, and a passion for the untamed wild. Patagonia is open for business all year round. When to go depends on your primary interests. If skiing/snowboarding is your passion, then you’ll want to visit during the winter. If you’d like to indulge your inner naturalist and spend your time wildlife spotting, then spring/summer/autumn are ideal seasons. And while you can certainly enjoy mountain trekking in the winter (there’s something primal and rewarding about trudging through the snowy mountains for days on end), summer is a great time to view the sweeping panoramas from mountain peaks. Again, the answer depends on your preferences. For wildlife spotting, we recommend Puerto Madryn and the Atlantic coast. For trekking/camping, it’s all about national parks like Torres del Paine and the peaks near El Chaltén. For glacier viewing head to Los Glaciares National Park, and if you want to experience the least crowded and most jaw-droppingly beautiful places in the Southern Cone, you’ll make a beeline for the fjords, rivers, and Andes peaks of the Aysén region, in Chilean Patagonia. If you only intend to visit one location in Patagonia, then you won’t need more than four or five days. 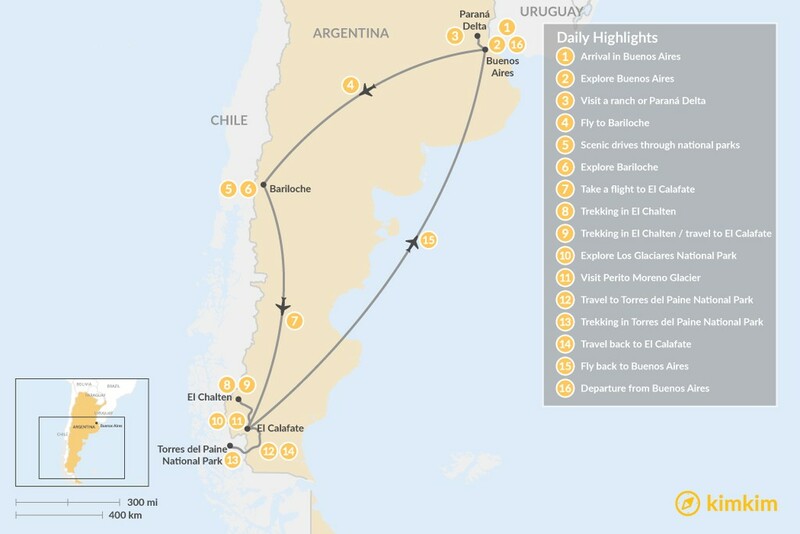 However, to really experience Patagonia (both the Chilean and Argentine sides), requires two weeks minimum, but you can plan a faster itinerary that will allow you to see many places in nine or 10 days as well. Hike in some of the most stunning landscapes in the Western Hemisphere, located at the extreme of the South American continent. 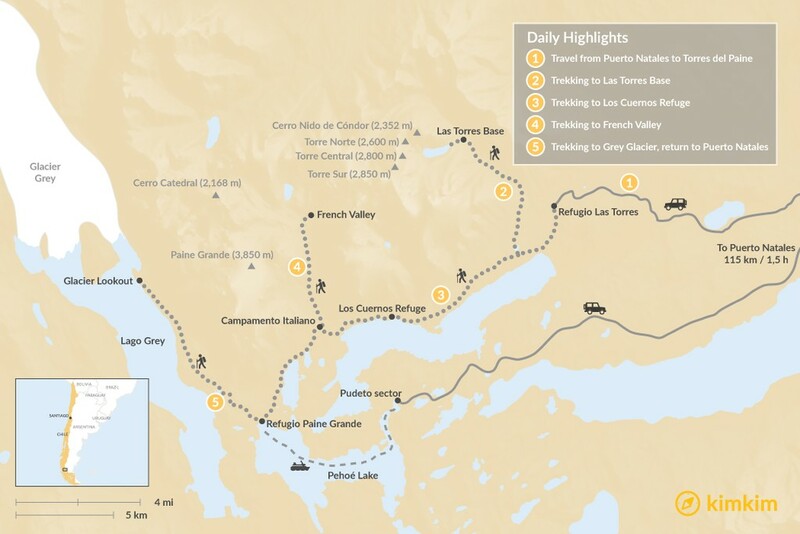 This itinerary will be sure to challenge even experienced hikers, and offers stunning views of sharply-defined peaks, azure lakes, and vast ice fields. Arrive in the Argentinian Patagonia and experience the wildest landscapes of South America. Journey to Los Glaciares and encounter the impressive and monumental glacier, Perito Moreno. Delight in an expedition with good quality accommodation and appreciate some of the most natural environments on planet earth. Go on a trekker's paradise and explore some of the best landscapes in Argentina and Chile. 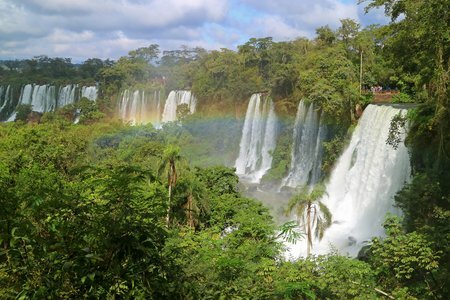 Flexible and suitable for all experience levels, this itinerary will take you across two national parks and one of the most famous mountain ranges in all of South America. Explore Patagonia in style. This tour includes all the highlights of Chile's famous Torres del Paine National Park. You'll have a local experienced guide, comfortable accommodation (including a stay in the cozy domes of EcoCamp Patagonia), and some of the best views of Patagonia's natural highlights. 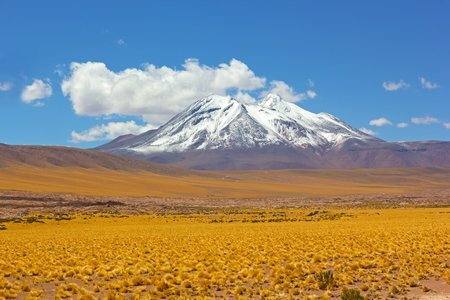 Covering destinations from Buenos Aires all the way to Southern Patagonia, this tour is a great way to discover both Argentina's natural splendor and unique culture while driving at your own pace. In just over two weeks, you will be able to experience some of the country's most iconic destinations through various excursions ranging from quiet retreats and scenic drives to wildlife watching and exhilarating hikes. This 13-day self-guided trip will take you to some of Chile’s most spectacular sights. You’ll visit lush biosphere reserves, thundering waterfalls, lava-lined canyons, and forest-covered islands. The region is also known for its lakes and volcanos, and the views along the drive are simply jaw-dropping. Designed for active travelers, this trip takes you along some amazing trails, with ample opportunities for wildlife watching. With five days, you'll want to focus on one region of Patagonia. 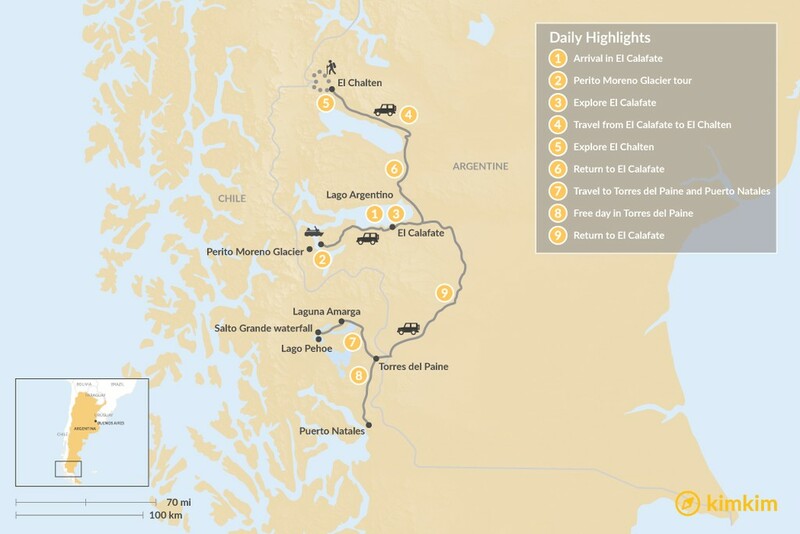 Pay a visit to Perito Moreno in Los Glaciares National Park, road trip the Carretera Austral, make a whirlwind circuit through Torres del Paine, or step just outside of Patagonia to southern Chile's incredible Lake District. Patagonia is the dream destination for any outdoor enthusiast. It encompasses 402,700 miles of wilderness in both Chile and Argentina, every inch abounding with mountains, glaciers, and near endless expanses of steppe grassland. 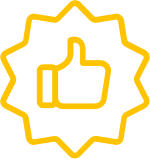 There's a lot to see and do here—read this FAQ to get your questions answered. July is winter season in Patagonia, and that means ski resorts are open for business and local snow festivals are underway. Low tourist numbers and prices appeal to the adventurous (and those equipped with outdoor gear). Read on for more tips on where to go and what to expect in Patagonia this month.